When debating different dietary lifestyles, Veganism seems to cause the most argument and controversy. It’s the diet that’s gaining huge popularity in the Western world; multitudes of people claim personal health benefits, but many also claim they did not thrive on the diet. Quite simply, like every other diet, there’s a healthy and a non-healthy way to eat. A vegetarian or vegan diet consisting of large amounts of refined carbohydrates and processed foods such as fake ‘meat’ and ‘cheese’ products will not be the optimum choice for health, but large amounts of vegetables and plant foods in as much of their natural state will. There’s no denying that vegetarian and vegan diets look to be the most sustainable for the environment and able to handle the amount of (real, natural) food required for a growing world population. Animal farming is too intensive at its current rate for the earth to cope; more water and land is used to grow grains to feed animals being reared for meat than directly for human consumption. Along with ethical arguments of animal welfare, it’s understandable why more and more people are choosing to go meat-free. However, there is much evidence to show no single population of any significant size eating a vegan diet has ever existed. This may be because certain nutrients could only be obtained primarily from animal foods in the days before modern supplements were created. Vegetarian diets – which, unlike vegan diets, include eggs and dairy – have thrived historically in many societies but this is now changing due to contaminants found in dairy from modern farming methods. To thrive on a meat-free diet, here are the most common nutritional deficiencies to look out for – and why it’s important to monitor these even if you’re a meat eater. The most common deficiency, this vitamin is found in natural form in meat, fish, dairy products, eggs, Nori seaweed, fermented soy (called tempeh), nutritional yeast flakes and algae such as Spirulina and Chlorella. While the last four are non-animal sources, it is difficult to consume them in the large amounts required for adequate B12. Saying that, conventionally-farmed animal sources such as those listed above contain far reduced levels of B12 than traditional wild animal meats, so it’s important to find organic, pasture-raised and/or grass-fed sources of all of these foods. If that’s not the case, carnivores should also check their B12 levels. A Vitamin B12 deficiency can lead to weakness, fatigue, impaired brain function and megaloblastic anaemia. After 6 or 7 years of not obtaining dietary B12, any B12 stored in the liver will be completely depleted and can lead to neurodegenerative diseases. Plants contain iron in the form of non-heme iron, which is not as well absorbed by the body as heme iron. Heme iron is found primarily in red meat, and this type of iron also helps non-heme iron from plants to be better absorbed. Some vegetarians and vegans do not have iron deficiencies because certain groups of people require less than thought (such as adult men and postmenopausal women), and having an excess of iron can be as detrimental as having a deficiency. For many vegetarians and vegans, however, especially women, a natural supplement may be necessary, taken with vitamin C-rich foods. Vegan foods fortified with iron are inadequate as they are often refined carbohydrate foods like bread and cereals. These can negatively affect insulin resistance, a precursor to type 2 diabetes. Supplementing is considered the best option if there is a deficiency. While no food source contains D3 in ample enough amounts to rely on eating it alone, there is some found in meat, fatty fish and egg yolks. Research suggests around 90% of all people are deficient in D3 because they avoid safe sun exposure despite sunlight being the best source of bioavailable D3. While D3 is vital and something that everybody should monitor, those who don’t consume animal products may have lower levels than average. The importance of vitamin D3 for chronic disease prevention is extremely well-documented. However, if supplementing, it is important to ensure that Vitamin K2, calcium and magnesium are also balanced at the same time. DHA is an omega-3 fat essential for health as it impacts the mitochondrial energetic process. Almost all of the omega-3 fat in our brain is DHA so our neurological function depends on it. Plant-based omega-3 fats are known as ALAs (alpha-linolenic acid) and marine-based ones are known as DHAs (docosahexaenoic acid). Both are important to a healthy diet. Respectively, they include foods such as flaxseed, flax oil, chia seeds, hemp seeds and walnuts; and anchovies, sardines, wild salmon, krill and fish oils. The reason the plant-based versions of omega-3s are considered inferior is because the body needs to convert them into DHA first, rather than being a source of DHA themselves. Some studies state the conversion rate is low and therefore not a sufficient way to get enough. On the other hand, fish considered good sources only contain high amounts because of what they consume lower down on the food chain. The foundation food is algae and some argue that eating this, rather than the fish itself, is a better way to get the same nutrients. This approach also avoids fish like tuna that can contain marine pollutants like mercury. Additionally, algae such as Spirulina and Chlorella contain vitamin B12. Despite this, some say it’s not possible to eat sufficient algae to obtain adequate DHA and many nutrients can easily be lost in the methods of cultivation. Fatty fish and fish oils contain larger amounts of DHA in a smaller serving. However, the flip side to this is that fish oils are often heavily processed and can turn rancid before encapsulating, meaning they are too high in inflammatory omega-6s instead. Plant oil sources of omega-3s – especially hemp and flax – are therefore claimed to be superior and studies have linked their consumption to reduced risks of cancer. 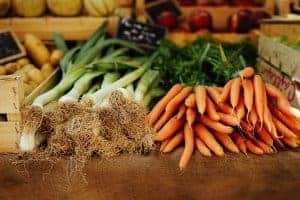 On a most simplistic level, vegans and vegetarians seem to be at risk for more nutritional deficiencies than those who eat animal products, as animal food sources contain a greater amount of certain nutrients in a more absorbable form. However, animal foods in the large amounts eaten by the average person today are also problematic and linked to the increased risk of certain illnesses. The average vegetarian in the Western world is much healthier than the average carnivore because of a greater consumption of vegetables and less processed food. Conversely though, vegans who do not pay attention to the nutrients mentioned here may be less healthy, especially if they eat a lot of unhealthy soy, but vegans who ensure they meet these nutritional needs by diet and/or supplements can easily be in extremely good health indeed.